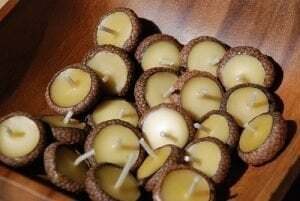 Made from wood and honey, plus burning material, these acorn candles are perfect gifts for your loved ones. I made these as an anniversary gift for my lovely wife, Kathy. You bet she loved it.